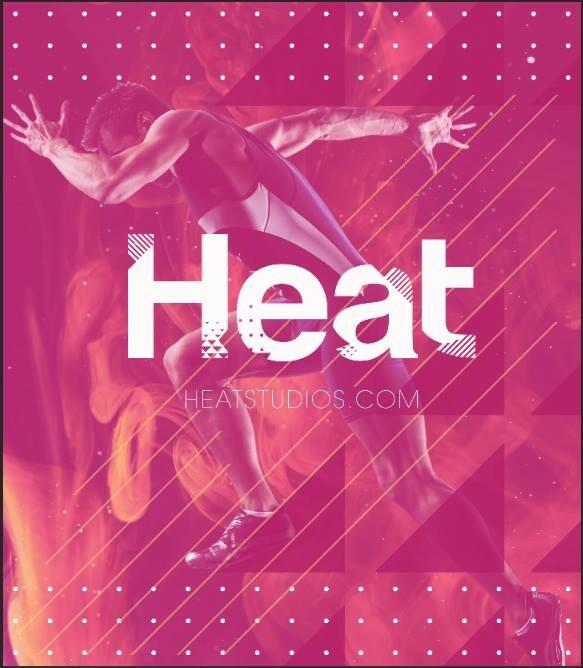 Start taking classes at HEAT and other studios! Heat classes provide diverse training ranging from strength training, aerobic and anaerobic conditioning, high intensity interval training, kick boxing, yoga and mobility work. They believe all athletes should partake in a well rounded movement practice to keep their bodies looking and feeling their best. Clients only need to bring proper attire, shoes, and a water bottle (there is a water fountain and bottled water for sale if needed). Yoga mats are available free of charge but members may bring their own if they prefer. Heat is located on the corner of Glenwood Ave. and North St. in downtown Raleigh. There is a paid parking lot behind the building and street parking. Use the parking machine on Glenwood Avenue and enter our coupon when prompted (HEAT100) for free parking in the parking lot while you are in class. When you go to Heat you know you’re going to get a great workout! A tough but good workout! A lot to take in if you’ve never done this style of class before but the instructors make sure you know what to do! Matt was great. Great class! Awesome workout and friendly staff will return and recommend to others! Not having exercised for a while, the class was a little too intensive for me, but I enjoyed the experience. Megan is amazing, as always! Love her classes— great workout. Good for lifting weights and strengthening muscles. Matt was a great trainer and made sure that we were doing the moves properly and correctly. Melyssa is such an angel. What a great workout. This is a must try for everyone in Raleigh, especially with a coach who makes newcomers feel so confident and welcome! A lot of waiting around. During a partner based workout one morning at 6am, one partner did the workout while the other waited. Then we switched. Everyone probably waited around for 20 mins of this 45 minute class. I don’t think that’s how it was supposed to be....but that’s how it was.